Beautiful and affordable; creating a place to belong. 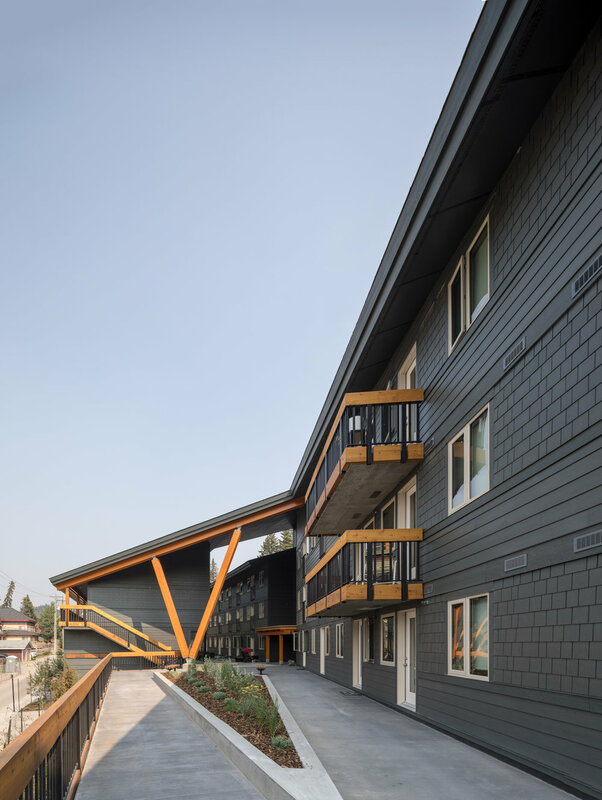 The main goal for the project was to create a home that felt like it was directly part of the Banff community, but also provided a sense of community within the development itself. Instead of designing one large building, we designed a series of separate buildings that would allow for a variety of living experiences and would create opportunities for gathering and social engagement. Ultimately, we wanted people to want to live there. We also wanted to respect the natural landscape and work with the existing site conditions. Therefore, we allowed the landscape to inform the design, and sought a design solution that would minimize the use of retaining walls on the site. 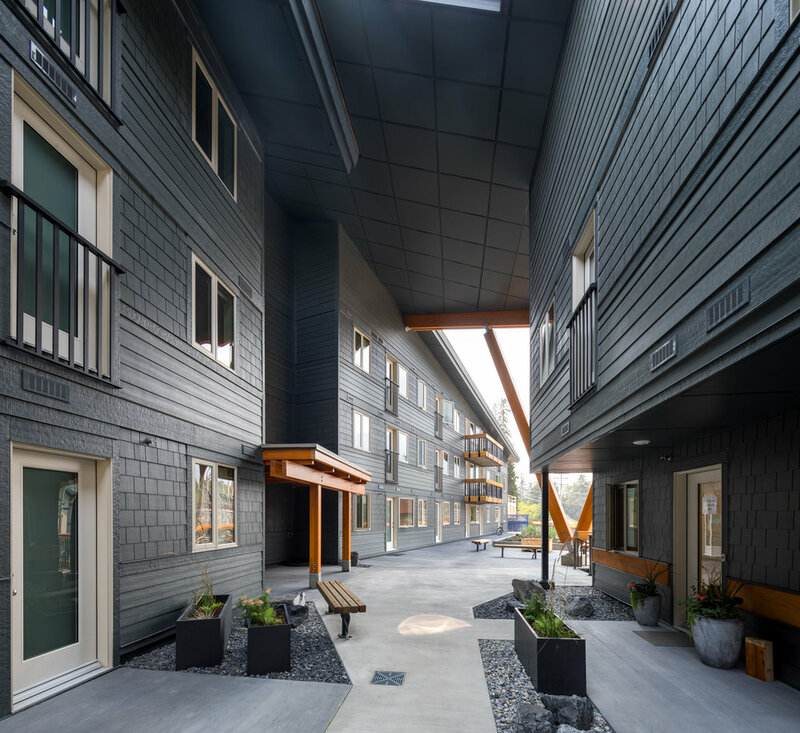 The larger part of the development is comprised of three apartment buildings that are connected by a single roof; a unifying structure that is representative of gathering and community. The largest of the three buildings, located along the southern edge of the site, contains a central core elevator that provides access to the parkade below. The A-Frames are stand-alone structures, designed to provide a natural and comfortable ‘bridge’ between this development and the surrounding community of single family houses. Because of their design flexibility, the A-Frames allowed us to use the geometrically challenging southwest corner of the site, and allowed for more development without the use of any retaining walls. 2016.09 - Banff Affordable Housing Project Underway!